On July 1st, 2018 the tax on access to social media platforms such as Facebook, WhatsApp and Twitter became a harsh reality for Uganda. Back in May 2018, the local government has adopted a law imposing a tax on access to so-called over the top (OTT) services. So, all local users will have to pay the tax before accessing the websites. 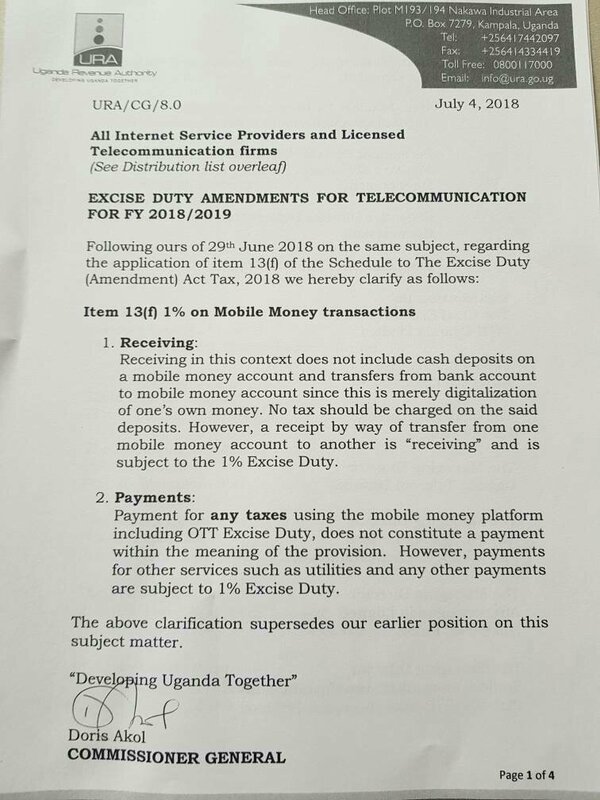 Almost at the same time, on July 4th, all mobile money transactions in Uganda also have been made subject to a 1% excise duty (even though the president of Uganda Yoweri Museveni claims it’s 0.5%). The tax amount comprises 200 Ugandan shillings a day, which is about 5 cents. This means that a year of letting Facebook collect your personal data or saying mean things to celebrities on Twitter while being in Uganda will now cost 73 thousand Ugandan shillings, or around $19. This doesn’t seem like a lot of money for the Westerners, however, considering the reported average annual income of a Ugandan national comprises just under 5 million shillings (or $1,287), it starts looking like a big deal. Yoweri Museveni, President of Uganda since 1986, said that the main goal of the taxes is to raise funds for the country’s development, as the intended revenue will account for a half of the annual budget. Most locals don’t pay any taxes at all, he argued, so, instead of making the government borrow money from the IMF, they should finance their country by themselves. It may sound reasonable to some, yet local critics claim that the taxation of social media seeks to thwart the possibility of criticizing governmental policies, and is but an attempt to limit the freedom of speech altogether. Our chances to talk about social, economic and political dilemmas are being restricted. #SocialMediaTax limits our interaction avenues. Stop dancing around the truth people, we need to have a conversation on the current state of affairs in this country. Locals don’t seem too much happy about the law, to say the least, and therefore seek some ways to bypass it. Many Ugandans have already decided to use VPN services to access their favorite websites. A well-known VPN comparison website, BestVPN.com, has reported that the number of visitors from Uganda rose by more than 1,550 percent between last Saturday and Sunday, when the law come into force. Search queries for VPNs have also increased in number since then. The Government of Uganda has also noticed the interest of its citizens to avoid the new requirement. However, they stress that the use of VPNs in this case is just a way to evade taxes, and therefore should be illegal. “The Uganda Communications Commission, which regulates the industry, has been directed to block access to virtual private networks [VPNs] that some people have used to avoid paying the new tax”, Minister Bahati said. The Facebook post by the official account of the Ugandan government also says that using VPN is unreasonable, and the authorities have all means to block this option. Some unexpected support for regular Ugandan nationals came from businesses. Thus, local ISP Smile Telecom has claimed they will pay three months worth of taxes for every subscriber. Still, this move doesn’t seem to be too selfless. According to local publication The Observer, the company actually explains its decision by the fact that the new tax requires telecom companies to either absorb the costs or oblige their customers to pay it. Nevertheless, some local lawyers have filed a petition with the Constitutional Court of Uganda believing that the tax defies the country’s constitution. “We have issues with that tax because it’s discouraging net neutrality, open access to internet, and violates quite a number of rights and freedoms such as freedom of expression under Article 29 of the 1995 Ugandan Constitution among others,” said Daniel Bill Opio, Executive Director of Cyber Law Initiative and one of the petition’s authors. Mr. Opio, however, admitted that Ugandan courts rarely give such matters a go. Right now, only time will tell which side to the debate will eventually prevail. It’s hard to tell for a fact what’s really behind this definitely controversial decision by the Ugandan government. Still, the world isn’t black and white, so there’s a good chance that the weird social media tax is a great way to kill two birds with one stone, i.e. to fill up the country’s treasury while also tackling the critical opinions voiced online. Still, Uganda isn’t rich, and many locals live in poverty, so this tax burden that could have been a laughing stock for a Westerner might be just too much for them. The law in fact gives them only two choices: pay or get out of the internet. Even if the tax seeks just to get some money to the state budget, it doesn’t look like it gives much respect to basic human rights, let alone heed the financial situation the country’s citizens face every day.